Photos of PEP in Action! Mansfield’s senior women have had the numbers to compete as a full team for most of the 2018 cross country season. The senior men on the other hand have not. Starting with the conclusion of the conference championships a little over a week ago, Mansfield elevated it’s freshmen runners onto both squads. Now the Mansfield men just like the Mansfield women have a chance to compete for team honors. The Southwest Regional in Acorn on October 24 saw both squads in action. It was those freshmen darlings that made an immediate impact too. Four of the ninth graders rounded the 3.1 mile two loop course fast enough to claim Top 25 All-Regional status. Faith Rainwater, Shelby Cole, and McKenzie Griffin for the girls took such honor. Ethan Chapman did so for the boys. Rainwater ran both the junior high and senior high courses a week ago at the 3A-1W District Championships. At the SW Regional at Acorn, the diminutive dynamo only had to run one senior high race. It was her best 5K time of the season. She punched in at 23:14.1 to secure an eleventh place finish among nearly 80 runners. Cole ran her best time of the year as well at the 5K distance. Since the junior high volleyball season concluded, the dual sport athlete has excelled in the running department. Her 23:57.0 mark was second best on the Lady Tiger team and top 20 among all regional participants. Griffin was only 9.8 seconds behind Cole for 21st place. The freshmen sensation has been showing a real aptitude for the longer senior high races. On the men’s side, Chapman shined in his first completed senior high event. The young gun averaged 6:10 miles to complete the 3.1 mile distance in 19:08.5. That measure was good enough to finish in 20th place among 82 entries. Mansfield’s two senior teams finished third and sixth respectively. The Lady Tigers were top three with 85 points. They followed DeQueen’s 19 and Waldron’s 72. The Tigers were sixth with 149 points behind DeQueen (25), Ouachita (56), Acorn (89), Waldron (107), and Mena (also 107). Exchange student Artem Zirka off the men’s team continued shaving time off his total with a season best 19:43.1. The mark was two places away from All-Regional status at 27th. Mikeal Harrison (20:23.5), Renden Emery (20:33.5), and John Branche (23:44.1) rounded out the Tiger scoring five. Zac Desormeaux (23:51.4) was the group’s only displacer. The Lady Tiger squad saw Harleigh Mars (26:05.2) and Jessica George (26:14.3) join Rainwater, Cole, and Griffin for their scoring set. Josefin Lofving and Sara Willadsen served as displacers. Alyssa Berry, Addison Goetz, and Janna Coplin completed the senior high roster. Mansfield will head to Hot Spring’s Oaklawn Park on Friday for the cross country state championships. Class 3A men race at 12:45. The corresponding women’s race begins at 1:15. 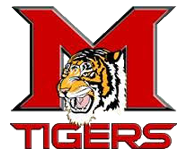 2019 Mansfield High School Alumni Reunion Mansfield High School Cafeteria Saturday, May 4, 2019 Registration begins at 9 a.m. and the program at 10 a.m. Meal will follow the program. Cost of the meal is $13 per person. Call 479-928-4006 to make reservations for meal. Alumni Board members will be present to receive any donations made to the Scholarship Fund. The Mansfield Class of 1969 will be hosting the Alumni Reunion this year.